With summer just around the corner, it’s easy to start daydreaming about your next vacation. Beach or mountains? City or country? Sightseeing or complete relaxation? It’s great to get away from it all and lose yourself in another part of the world, especially when you go somewhere new and you get to learn a thing or two along the way. But getting away to somewhere amazing can be tricky sometimes. There are lots of ways to cure wanderlust, making even the most exotic and dreamy of vacations a reality. Here are the top five. 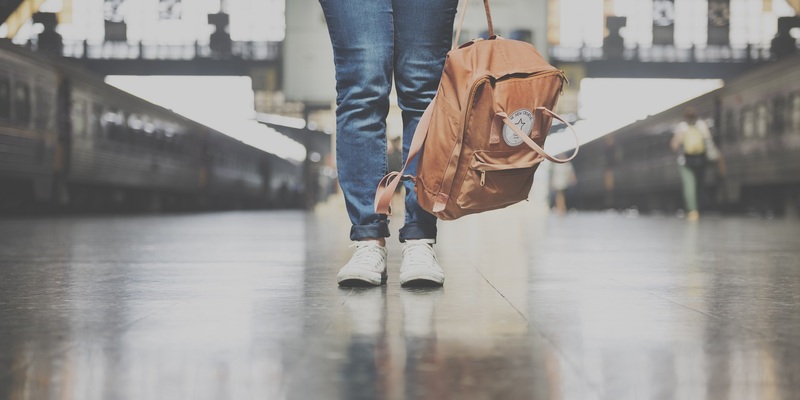 Backpacking – Staying in nice hotels can seem like the only way to go, especially when you’re travelling somewhere new. But going low-budget and spending less lets you enjoy more experiences on your journeys. Try countries like Thailand, Vietnam, or the Philippines, in Asia; the Czech Republic, Greece or Malta, in Europe; or Mexico, Honduras, Bolivia and Peru, in Central and South America. While it may cost a little more to get there, finding good quality, low-cost accommodation is a breeze, leaving more cash in your pocket for hiring guides, renting bicycles, or trying out once-in-a-lifetime activities like hot air ballooning, sailing or even bungee jumping! Volunteer – A great way to see the spots you’ve always wanted to visit AND do something good at the same time is to take part in a volunteer vacation. Find a cause or a country you’re passionate about and do some research on how to combine the two. 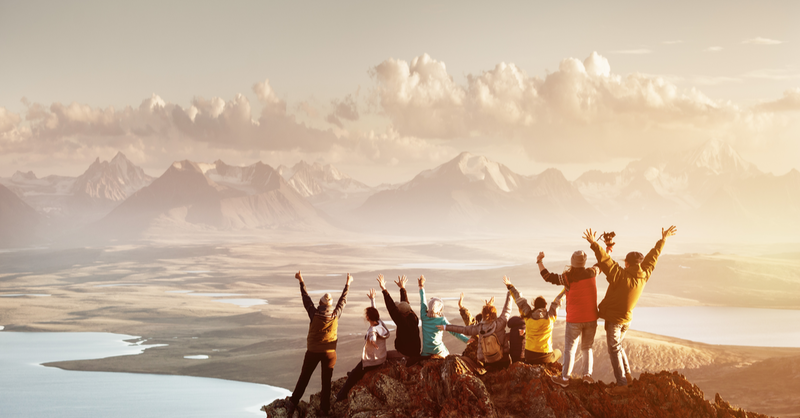 There are lots of international, not-for-profit organizations that run volunteer expeditions all over the world, so it’s easy to match your skills and desires with worthy causes. Add a little bit of time at the end of your volunteer stint for some sightseeing or relaxing on a beach to tame your travel bug, all the while knowing you did good work that helped people and communities in need. Weekend getaway – Getting enough time off to backpack across Europe or volunteer in Africa can be hard, but taking an extra day to extend one of Canada’s many long weekends during the spring, summer and fall is usually pretty doable. There are lots of places south of the border, in the Caribbean, and in Mexico and Central America that you can head to for four days that are a short enough plane ride (with no jet lag) so you’ll have plenty of time left to enjoy your stay. Or you can even make a road trip of it and make getting there part of your vacation. Aim for music, art or historical festivals to make things interesting – or just a good beach and a good book! Leave it to fate – There are so many amazing destinations out there, it can be hard to narrow down your bucket list. But you can always let fate decide! Just find a map of the world, pin it up to a free wall somewhere, close your eyes, throw a dart and see where it lands. Then, get on a plane, train or automobile and start exploring. Language barrier? No problem, there are lots of travel dictionaries you can download to your mobile device before you go. Different culture? Well, that’s the whole point, isn’t it? Go learn something new. Make new friends. Enjoy the freedom that comes with having no plans and no expectations. Explore Canada – People from all over the world, flock to Canada every year for their vacations. Ever wonder why? All you have to do is take in the breathtaking views of BC’s Rocky Mountains; hike the windswept trails of Gros Morne National Park in Newfoundland; kayak the calm waters around the Bay of Fundy in New Brunswick; or take in the cultures, sights and sounds of Canada’s most metropolitan cities, like Halifax, Montreal, Quebec City, Toronto, Calgary, Edmonton and Vancouver and you’ll know your answer. Or you can turn your gaze north and visit Nunavut, Yellowknife or Whitehorse at our amazing country’s Arctic edge. As Canada celebrates its 150th anniversary, there’s no time like the present to go on a Canadian adventure! What are your favourite vacation destinations? How do you cure wanderlust? Share your experiences and photos with us on Facebook and Twitter!